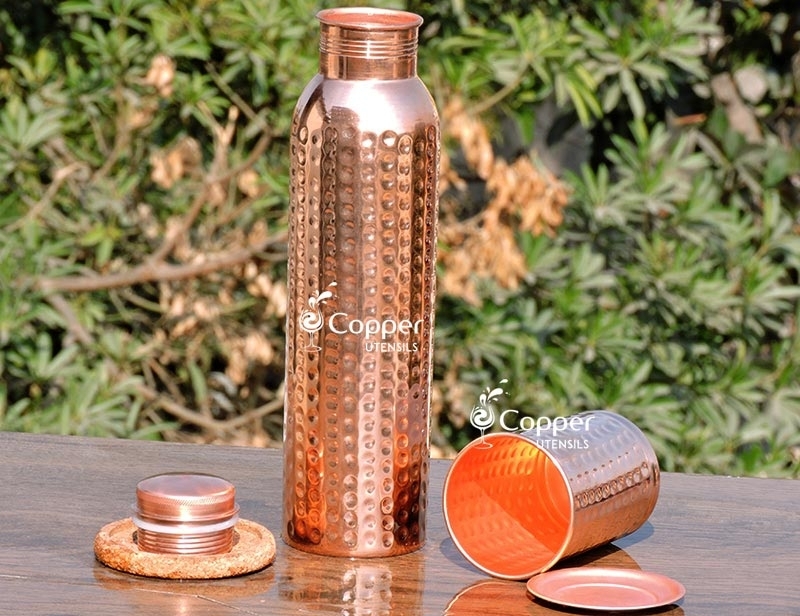 Hand hammered water bottle and matching tumbler with lid. 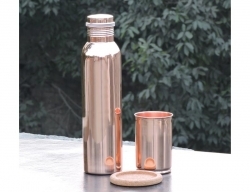 The perfect accessory to keep on your bedside or dining table. 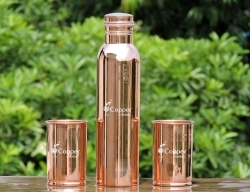 Great way to start drinking copper treated water. 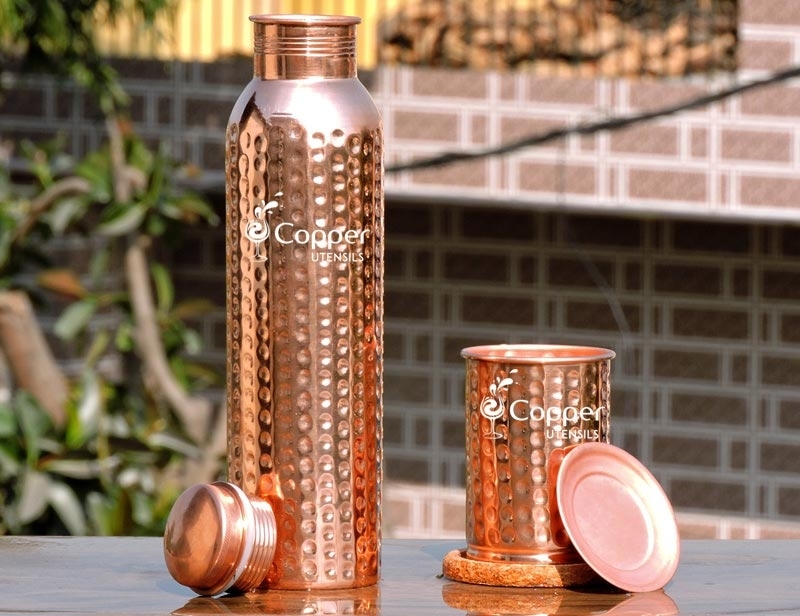 Free coaster with this set. 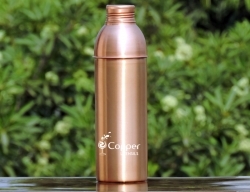 Copper is a natural anti-oxidant. 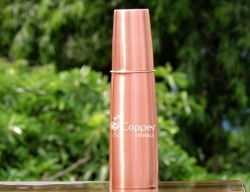 It helps to strengthen the immune system which leads to faster healing of wounds and cuts. 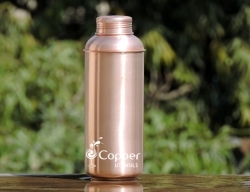 When water is stored in the Copper Water Bottle, it keeps the water cool and fresh for longer. 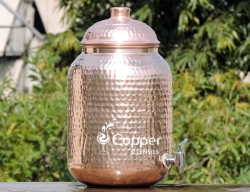 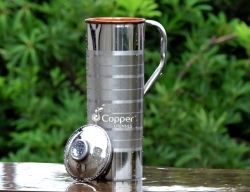 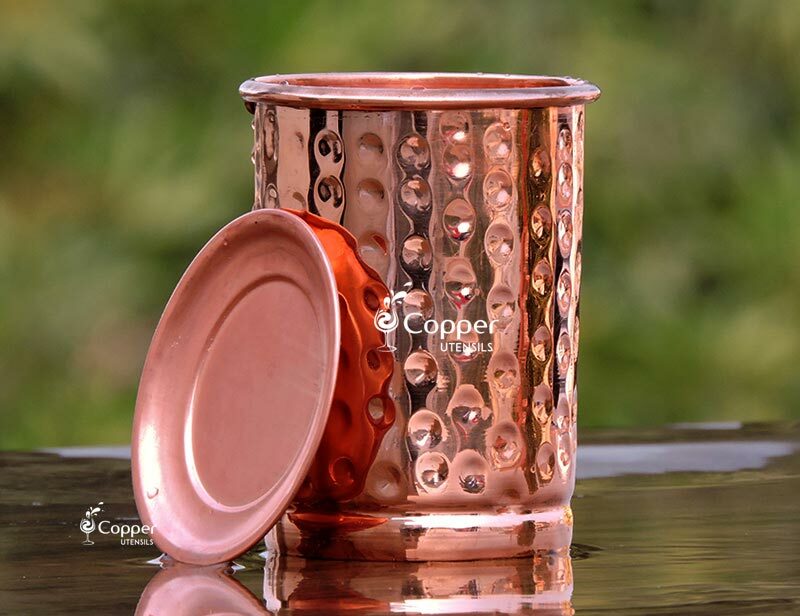 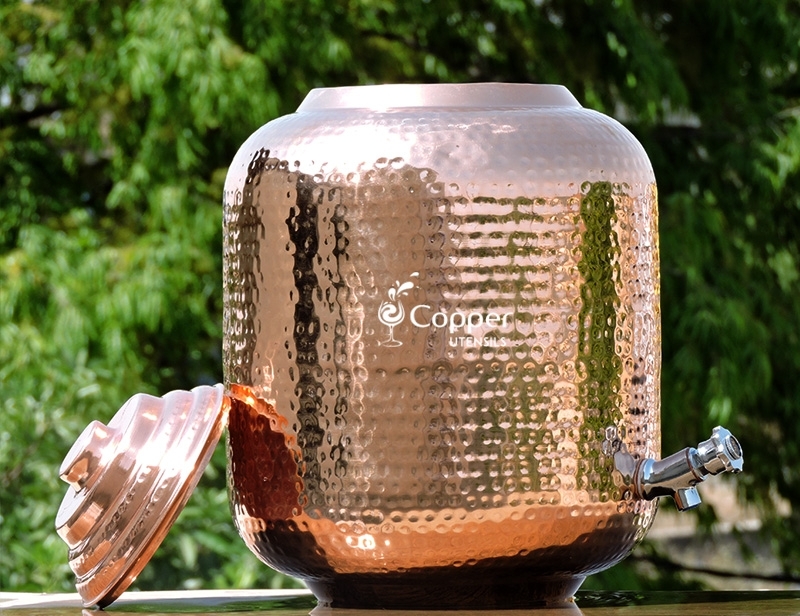 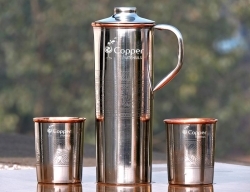 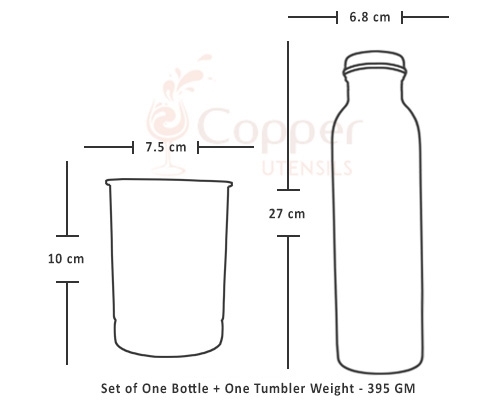 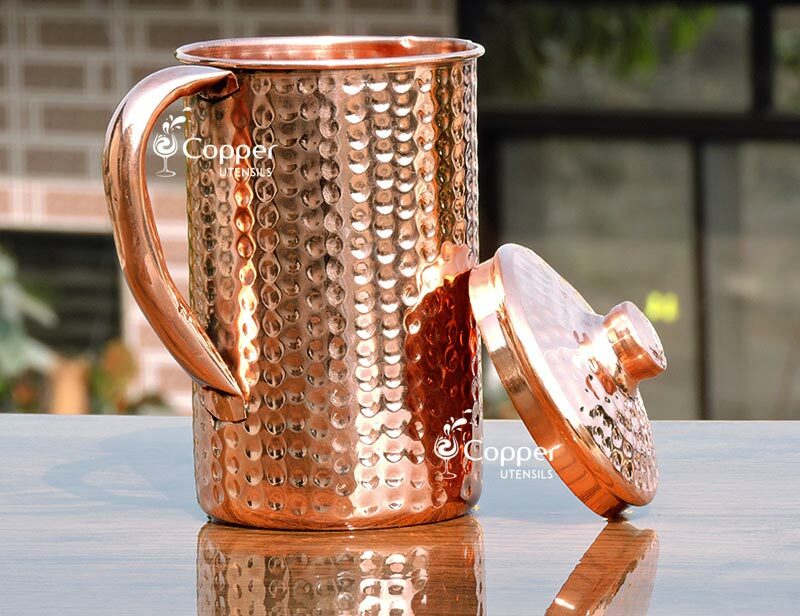 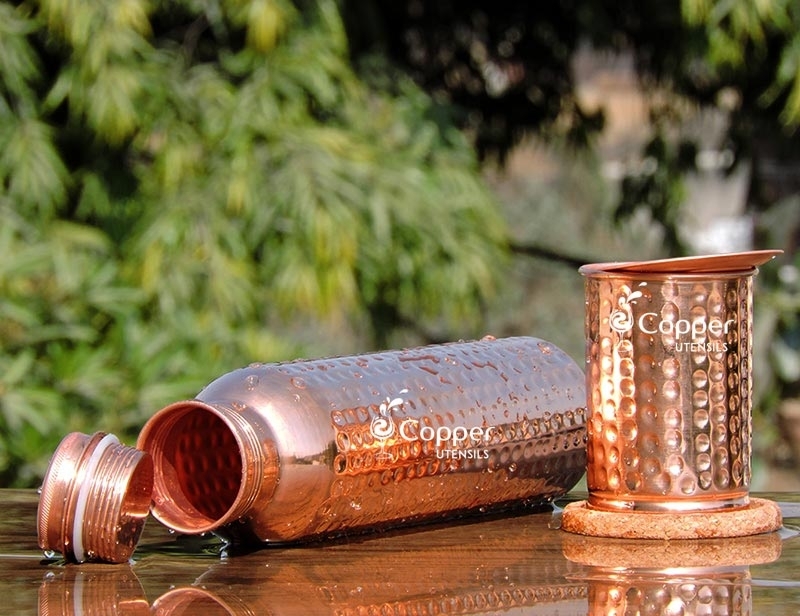 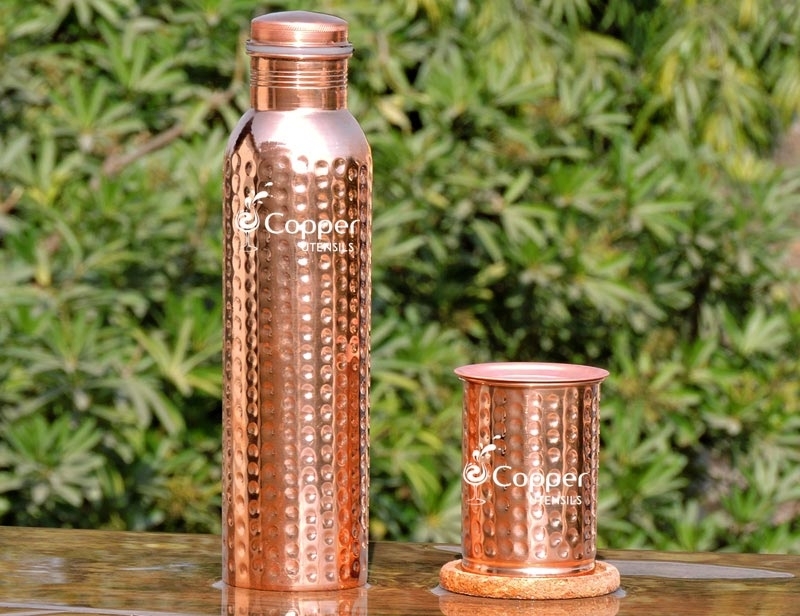 Drinking in the copper tumbler means there is no chance of germs in water. 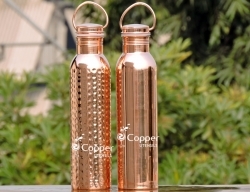 Switch to copper water bottle instead of plastic or steel ones as water may easily become stale in either of them. 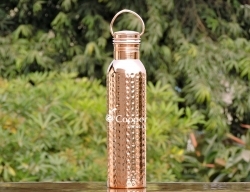 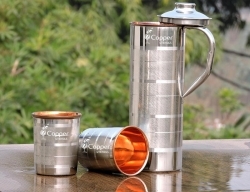 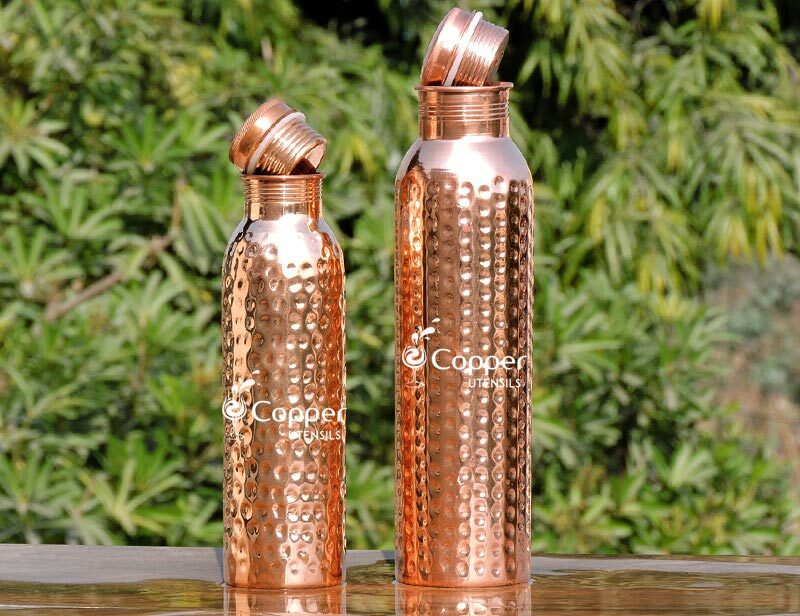 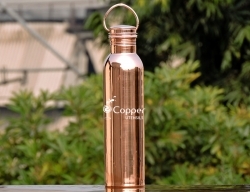 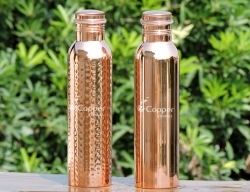 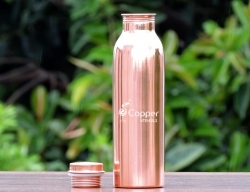 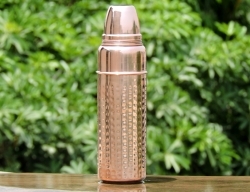 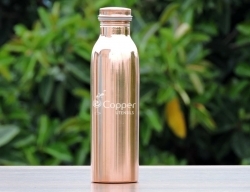 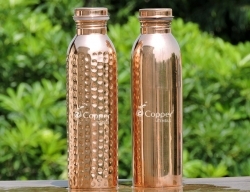 This unique set of hammered copper water bottle is specially made for reaping the benefits of copper charged water. 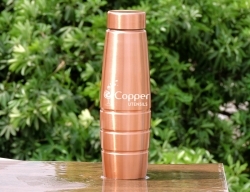 Hammering makes the copper pure and also increases the surface area. 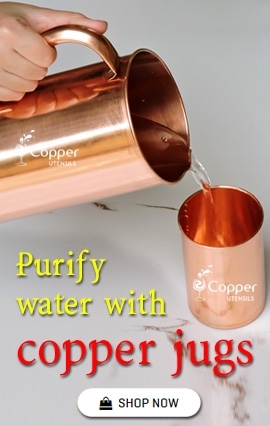 Thus more area is in contact with water, meaning quicker charging of water. 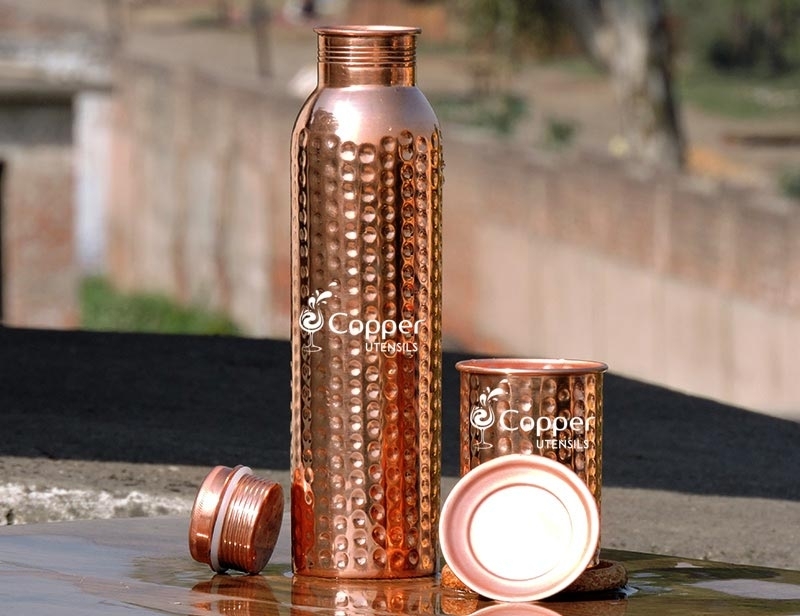 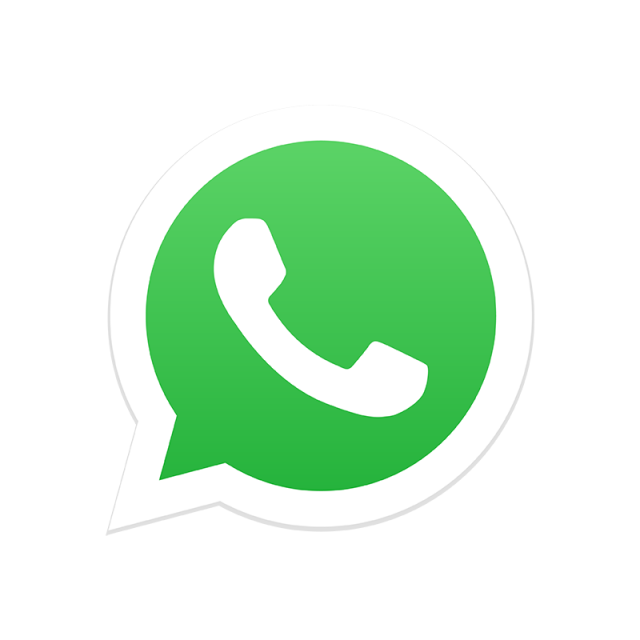 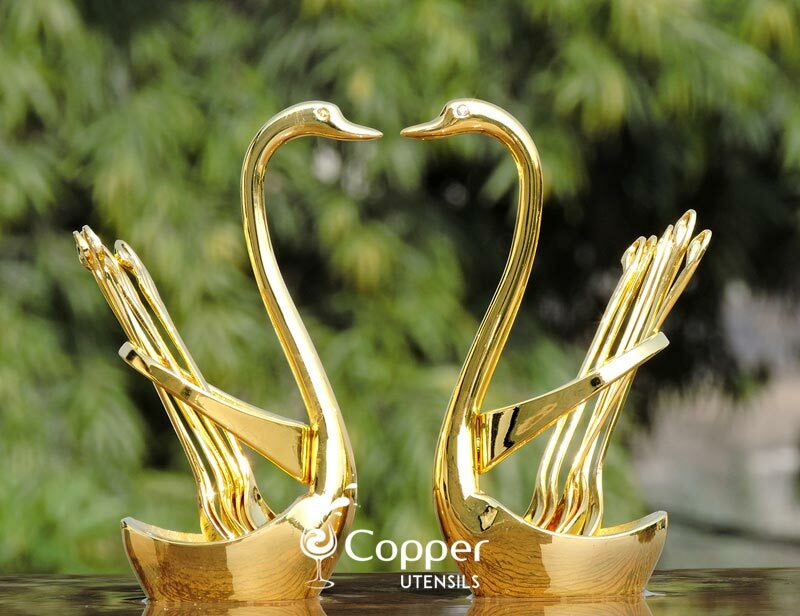 One common problem faced while using Copper water vessel is the discoloration. 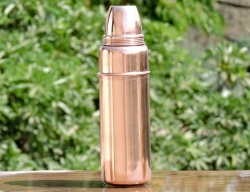 The way to counter this is to wash the utensil with lemon and salt or tamarind regularly. 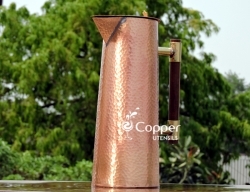 To avoid scratches from normal washing materials, one should use an old cotton cloth to clean. 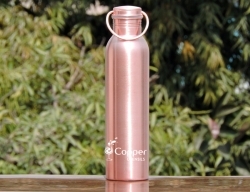 Also wiping it dry after cleaning will help keep the shine. 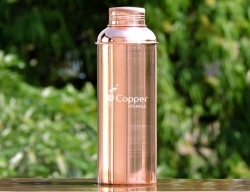 I have my Copper Bottle and tumbler and I love it! 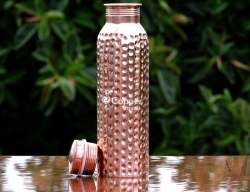 I use it to fill it with water every day to purify it and drink it. 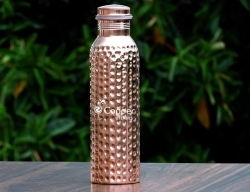 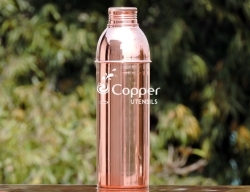 I like the looks of copper water bottle along with the health benefits that it provides. 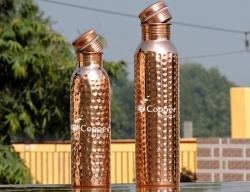 I would recommend a copper water bottle to everybody.